Alecia is the owner and operator of YOGAMOTIF, a healing arts yoga studio specializing in make & take wellness. Her first love, however, was creating art, and her Bachelor of Fine Arts from Alfred University is evidence of that. While there, she also received a New York state teaching certification in studio arts. After teaching in community non-profit and public education for five years, Alecia obtained a Master of Arts Management from the H. John Heinz III College at Carnegie Mellon University. She went on to manage and consult nonprofit operations for start-up and established businesses in Pittsburgh and around the country. 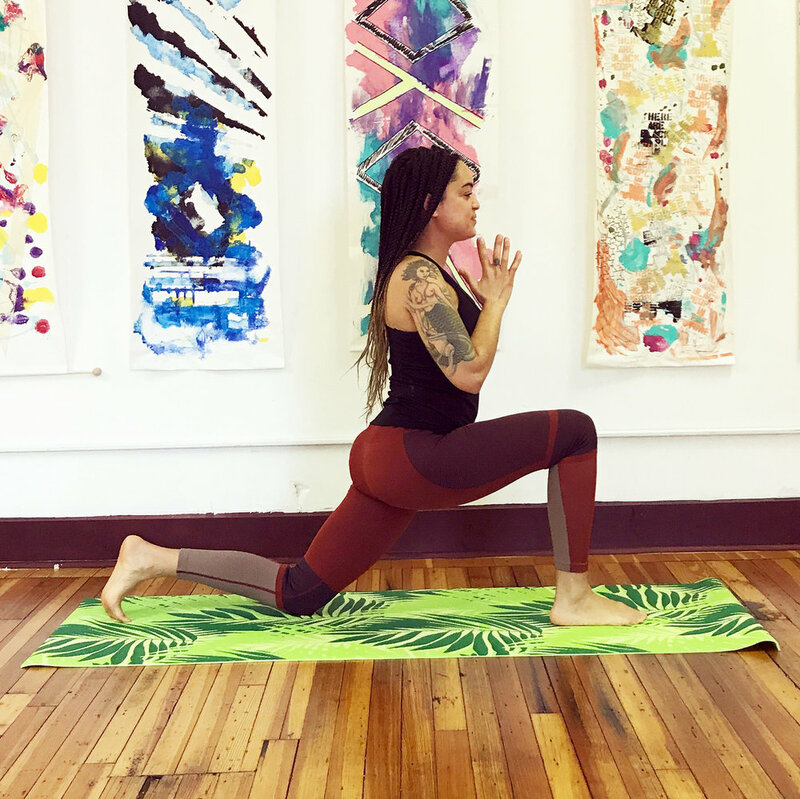 After gaining an appreciation for self-healing and mindful living, she pursued a 200-hour, anti-racism, yoga teacher certification through Yoga Roots on Location; equipping her to create spaces of trauma-informed healing and self-love through yoga. 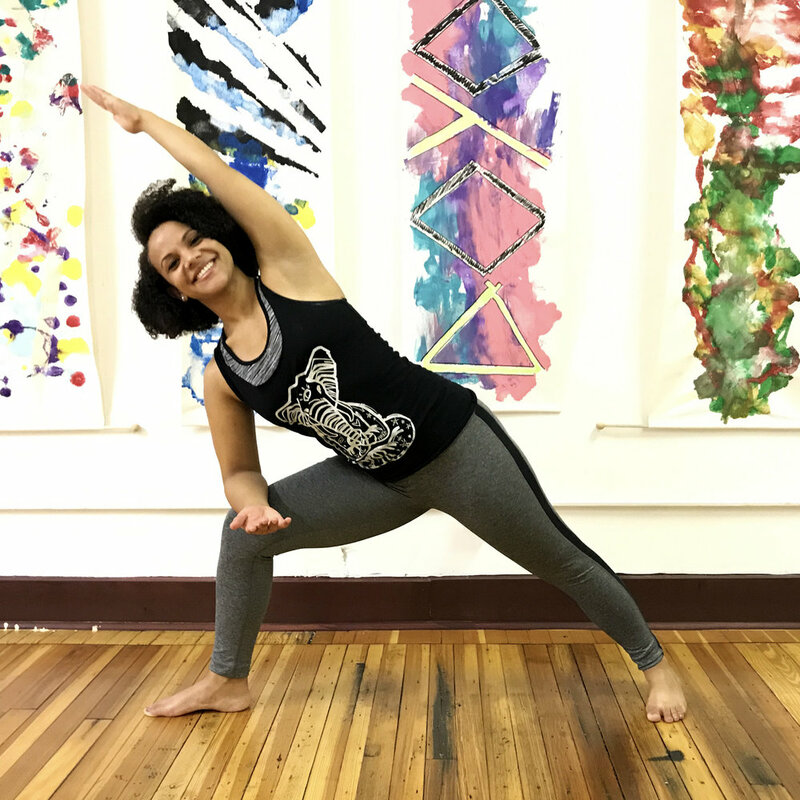 Alecia can be found facilitating trauma-informed yoga at YOGAMOTIF and in the Pittsburgh area. Kali intends to bring a sense exploration, playfulness, and curiosity to her practice on and off the mat. She loves the always present opportunities for learning, self-love, and connection that emerge from yoga. Kali earned her 200-hour yoga teacher certification through the incredible YogaRoots on Location’s anti-racist Raja yoga training. She experiences the anxiety-reducing, moving-it-through, clarity-producing, and restorative effects of yoga and leaves space for people to find their own relationship to this dynamic practice. Outside of yoga, Kali works in housing justice and embraces her fiery creativity. She also explores evolutionary biology and intuitive movement and applies that to her classes. Carrie is another white lady teaching yoga. She came to where she is today after having a health scare and thinking she was dying while social working. She went on a journey into wellness and with the desire to share what she learned with others became a certified Integrative Nutrition Health Coach and later received her 200-hour, anti-racism, yoga teacher certification through the wondrous Yoga Roots on Location. Carrie is abundant in love and healing and fancies herself a wellness catalyst, CustomHER Support Specialist, self-care and self-love advocate, soulcial worker, and 200-hour registered yoga teacher. At YOGAMOTIF, she can be found teaching her signature "Gentle Flowga" class in addition to providing partnership programming through Organic McCannic where she offers make & take teas, scrubs, and other wellness goodness. Tiangai (Ma-ti-an-gay) was first introduced to yoga in 2008. She developed a regular practice in studios in Philadelphia, Baltimore and now Pittsburgh. 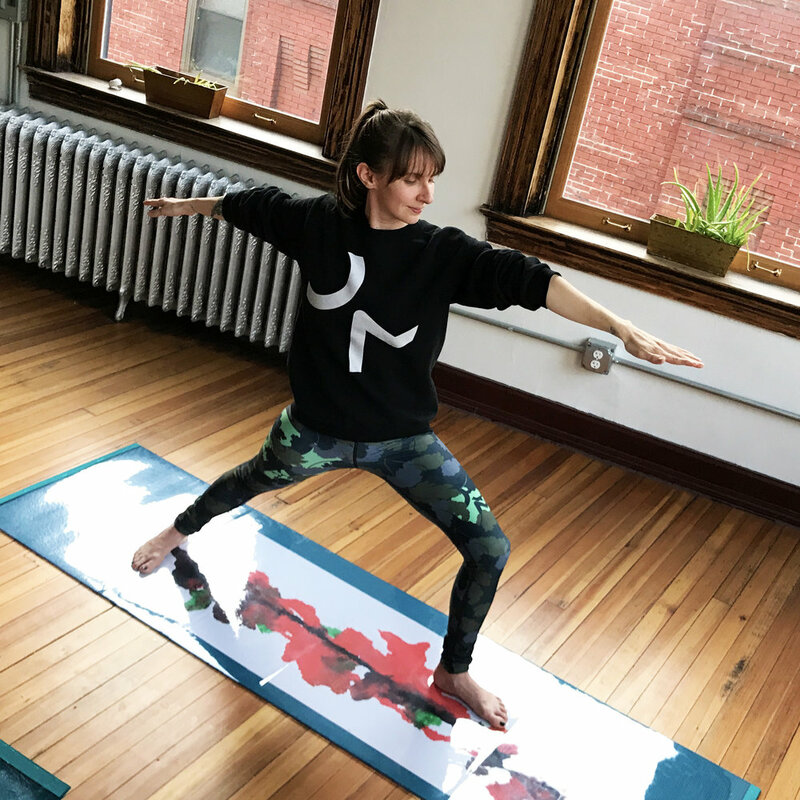 In 2016, she completed a 200-hour Pittsburgh Classical Yoga Teacher Training with BYS Yoga. Her practice is influenced by Vinyasa, Jivamukti and Ashtanga Yoga. Her attraction to yoga comes from its ability to check the ego, push the body, soothe the soul and calm the fluctuations of the mind. Heather is a recent graduate of Yoga Roots on Location 200-hour teacher training. She has been practicing yoga on and off for nearly a decade. Her passion for both personal and collective healing has brought her back to the mat over and over again. Though it was not until her recent studies within an anti racist & trauma informed framework. That she was able to join her deep commitment to social change with yoga's spiritual foundations. Heather is a Capricorn sun with a Taurus ascendant and Scorpio moon. Kathryn seeks to cultivate a warm, healing space for all. She began integrating yoga into her life 5 years ago, and completed her 200-hour, anti-racism, yoga teacher certification in 2018. Kathryn remains in awe of the flexibility and strength her personal practice has developed in both her mind and body. She strives to facilitate a personal exploration of self, centered in love and peace. Outside of YOGAMOTIF, Kathryn is a healthcare provider who focuses on furthering a culture of inclusivity and humane treatment of all people, in all spaces. She finds added joy in her family, her friends, and reading. Sheba cultivates love and healing as a public speaker, anti-racist organizer, and certified yoga teacher. At YOGAMOTIF, she can be found leading Delicious Wombalicious yoga workshops designed to energize the reproductive space. Get to know Unoma at her Trap and Twerk Yoga class!